Financial Peace University has helped millions of people get out of debt and control their money! 2. Pay a $9.99 monthly fee upon license activation directly to FPU. Are you ready to get out of debt? Click the button below to register! Immediate access to your online account for 30 days followed by a monthly renewal of $9.99 (which can be canceled at anytime). Memberships include all video lessons, tools, courses, budgeting forms, ongoing access to financial coaches in a vibrant digital community setting. Member workbook that follows along with each video lesson, highlighting valuable information and providing space to record key takeaways. A budgeting tool to help you save money and tackle payments. 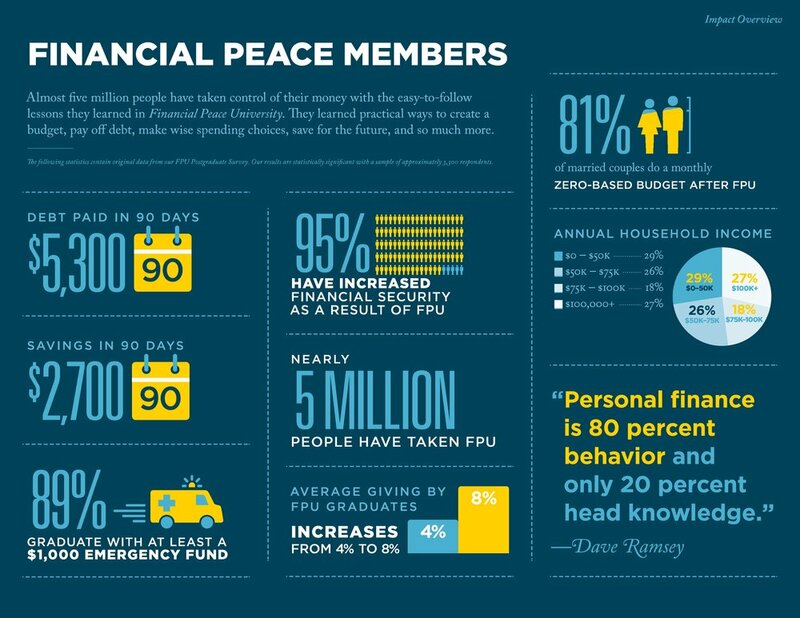 This budgeting companion is designed to put the principles of Financial Peace University into practice. Plus, it syncs across devices and connects to your bank, keeping everything up-to-date! Special bonus courses: Smart Money Smart Kids and The Legacy Journey. Access to world-class, motivational and transformative events from the comfort of your own home. Dave Ramsey’s Complete Guide to Money e-book. This book will provide practical answers to the “How?” “What?” and “Why?” questions about money. Your membership is always improving! We will be adding tools, courses, exclusive content, dashboard updates, updated lessons, and more on a regular basis as we look for even more ways to serve you on your journey to financial peace.